Wellington and Auckland have played the last match of the tournament Plunket Shield 2017/18. In the match, Wellington faced defeat by 120 runs which was so unexpected. This is the second time that they faced consecutive two victories in the tournament. 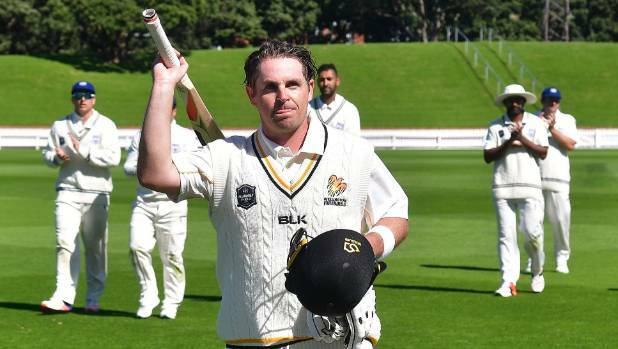 In the ninth round of the Plunket Shield, they faced defeat against Northern Districts and now, they faced another defeat in the 10th round. On the other side, Auckland turned around and made a victory in the last round of the tournament. In the 9th round, they played against Otago and but could not make any victory. But in last round, finally they finished the tournament with victory. Plunket Shield is one of the first class competition based in New Zealand which used to stage every year. Now in the recently finished season was the 89th episode where total six teams competed. In the tournament total ten rounds were executed where each round consists of three matches. In each rounds all six teams have played one match each. Now, in the last match of the last round ten, Wellington and Auckland played against each other where Auckland won by 120 runs. The match between them started in 2nd April, 2018 where at the same time two more matches were staged. In the match Wellington won the toss and decided to bowl first. So, Auckland started their first innings first. They played 94 overs in their first innings and lost all wickets. In the meantime, they scored 304 runs so far. Their top scorer was Robert o’Donnell who scored 93 runs and remained not out. For Wellington, Logan Van took highest six wickets so far. Later, Wellington came to bat for their first innings. They did not played very good but scored only 174 runs. They stayed behind considering the first innings. Ian McPeake scored highest 33 runs and unbeaten for Wellington. Besides, for Auckland Lockie Ferguson took five wickets so far. In the 2nd innings, Auckland faced batting disaster. They did not add much runs in front of Wellington at the second innings. They scored only 163 runs in 51.5 overs. Sean Solia scored highest 59 runs for the team Auckland. Jeetan Patel took highest five wickets for the team Wellington. Now, considering two innings Auckland presented a big score in front of Wellington. So, Wellington came to bat for the 2nd innings but this time as well they played few more overs than the 1st innings and scored 173 runs so far.